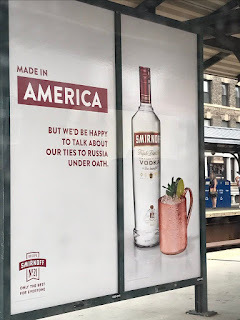 Tarek Chemaly: Smirnoff takes a swipe at Trump - "lordy, I hope there are tapes"! 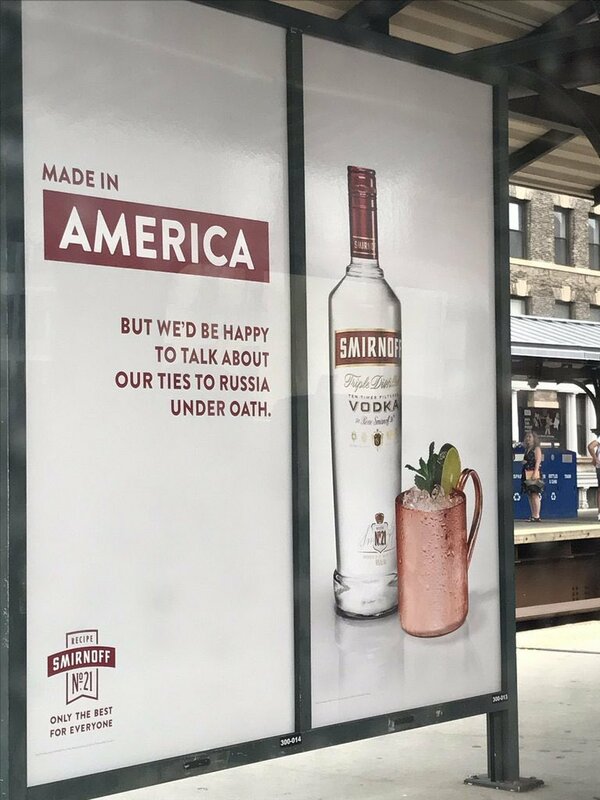 Smirnoff takes a swipe at Trump - "lordy, I hope there are tapes"! It was bound to happen, and Smirnoff grasped it and took it to the next level. "Made in America" "but we are happy to talk about ties to Russia under oath". Comey? Check. Trump? Check. FBI? Check. Mueller? Check. And the list continues. When it comes to jabs this one is a knock out. Absolut gem of an ad (sorry for the pun!) and "lordy, I hope there are tapes"!